As a part of your Adlandpro Gold Membership you have one automatically renewable Free Classified ad. 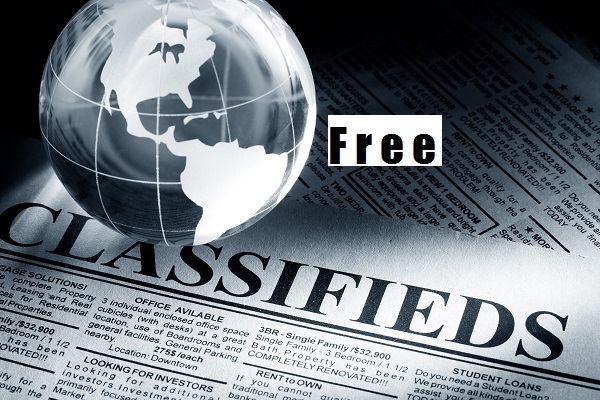 When we say that ad is automatically renewed, we need to first explain how our classified system works. On average every few seconds, somebody submits new ad to our database. At the same time, we delete oldest ad from our database. When visitor to our site searches it for information, we will display ads ordered by date: from newest to oldest. So if two ads, had associated with them keyword “free”, the ad with newer date will show ahead of the ad with older date if our visitor typed keyword “free” in search box on our site. Try this search string and look at the dates next to each ad. “You again demonstrate why I have your site “hooked up” at the top of all of my pages and I added the special Adland “site” page on my site. ads like just newly placed. You can imaging this as bubbles in the bottle going up. So ads of those who paid and ads of Gold Members, are automatically pushed to the top every hour. As a Gold Member you have one such ad for free. To enter your ad for renewable ad service, access this link. To dedicate one of your free ads as your renewable ad, click “Pick” link next to the text “Free renewable Ad”. Select the ad from the list and click “Pick” button. In case there are no ads listed in the pop-up chooser window, you will need to add free ad first, otherwise you are done. Once on this page, also pick one ad for your search engine submissions using the same approach. Renewable ad service produces as of this moment over 50% of Adlandpro revenue.